HomeAppointed times YHVH's Appointed times Are you willing to be transformed? There are seven feasts in Abba YHVH’s annual feast cycle. These feasts are perpetual and have a very specific purpose, fulfillment and a special spiritual significance. This cycle starts in the spring season just after the beginning of the Scriptural new year in the month of Abib. This cycle is a cycle of sanctification unto righteousness. During this cycle, another area in our lives is transformed, bringing us one step closer to who we are to be in Y’shua; transforming us into His image. Are you willing to be transformed? I have read an article from First Fruits of Zion many years ago about this Cycle of Sanctification and would like to share an excerpt of it with you (with their permission). I read it just after our first participation of a full feast cycle, and found it to be so amazingly true. I must say, I dreaded the next cycle after reading this, but came to realize in time that it was necessary to go through this in order to grow to be more like Y’shua. We have experienced it like this, eversince. “There is yet another way to look at the cycle of mo ‘adim. This is from the vantage point of the believer in Y’shua, for it could only have meaning to such a one. In this interpretation, the mo ‘adim are looked at as Cycle of Sanctification. 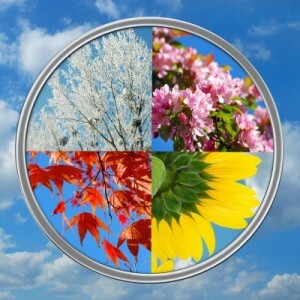 To understand how the mo’adim picture sanctification, we need to understand the four physical seasons of the year and how the mo ‘adim fit within them; for YHVH designed us to live according to the physical world around us. Wintertime is when the physical world gives the appearance of deadness. It is a deceptive appearance, however. There is actually much life under the surface of the ground, since it is preparing for a beautiful Spring ahead of it. All the activities of the winter are designed to contribute to a beautiful and healthy spring. There is also a spiritual winter. This is the time between Sukkot and Pesach. It is in this time of the year that YHVH is at work in our lives to put to death a certain part of our flesh. This is often a painful disciplinary process, so that by the time spring comes around, we may feel like we are ready to quit life! Sinful and unhealthy behavior or thought patterns are often the object of YHVH’s discipline. He often needs to get our attention before he rescues us from these patterns. This will cause us to cry out to Him for deliverance from the sins of our flesh during Pesach. Spring is the time of new life sprouting forth. Actually it is the life which was latent in the ground all the time, covered over by the trappings of winter. In the spring the vestiges of new life is seen in abundance. Our spiritual “spring”is from Pesach to Shavuot. In the spring, YHVH causes the death producing deeds of our flesh to be broken to let the life of Y’shua flow through into a new area of our life. Just like He brought the Israelites standing facing the Reed Sea with the Egyptians chasing after them, He also brings us to a place of trust and faith in Him. We just came through a difficult winter where we were brought to desperation as we experienced a problem area in our flesh. We needed to be sanctified in that area of our life. He purposely brings us to the Passover seder night, just as he brought the children of Israel to their Passover event. Ont that night they called out to YHVH for salvation and He told them to stand still and watch! They had to take Him by faith for their rescue. So it is with us. On the Seder night, we need to stand by faith in YHVH’s sanctifying Word that He will bring us out of that area of trouble we have been walking in – and rejoice in His promised deliverance. The matzah and counting of the Omer, our help. During the week of the Feast of Unleavened bread we are forbidden to eat leaven (symbolic of sin) This is a visible reminder to us to keep sin (problem areas that YHVH has made us aware of in winter) out of our lives. The matzah therefor becomes a visible reminder of YHVH’s sanctification in our lives for every given year. In Leviticus 23, we are told to count the days until we reach fifty. This is called the counting of the Omer. The Omer is a sheaf of grain. It is also a measure of weight. When the Omer was counted, it was a way for the farmers to see daily how much the crop was growing; the longer the sheaf, the more the weight, and the closer the new crop was to bearing fruit. The first of which was to be presented at the Temple as a first-fruits offering. In the same way we now have a new area of growth coming out of the “ground” of our lives. This, the new walk in righteousness, is the area where we once walked in unrighteousness. In other words, this new life is in an area where there was once just sin and death. We are to live these fifty days practicing the same thing we did during the Feast of Unleavened bread. Only this time we don’t have the “crutch” of matzah to remind us to live without this sin. During these days we are to consciously develop this new habit of walking in righteousness in that specific area. This is at the end of Spring near the beginning of Summer. Three major events are celebrated at Shavuot: The giving of the Torah, The first fruits of the spring harvest and the giving of the Rauch ha Qodesh. This is very significant! We are called by YHVH to produce fruit, but are hindered by certain areas in our flesh. By the time when Shavuot comes along and we have been co-operating in the sanctification process, we should be seeing some new growth in our lives. This is some of the first-fruit we are to celebrate. We are now faced with a new Summer of seeing new crops grow and new fruit being produced. YHVH gives us the necessary equipment to produce that fruit: His Word and His Spirit. By celebrating the first fruits at Shavuot, we are declaring by faith that YHVH will fulfill His Word of promise to us to produce much fruit in and through us. Summer is a time of hard work and productivity. Farmers are extremely busy taking care of the crops and new fruit, so they can have a harvest in the autumn. The spiritual “summer” is the time between Shavuot and the fall mo’adim. The summertime should be the time of most of our spiritual work, taking care of the new fruit YHVH gives. This fruit can be anything from people to unseen spiritual qualities He is producing in our lives. YHVH may use us to lead many to righteousness, or He may be busy producing the Fruits of the Spirit of Galatians 5 in us, or both. This is a very busy time of the year. In the physical realm, it is an exciting time. The intense heat of Summer is easing off. This gives us a sense of relief and freshness. It is also the time of the year when the fruit and produce of the summer is broughtin to prepare for winter. Moreover, the first signs of winter also appear. In Israel the first rains come in the fall. The autumn has three Holy days : Yom T’ruach (Feast of Trumpets), Yom Kippur (Day of Atonement) and Sukkot (Feast of Tabernacles).Each of these days has a place in the sanctification process. Exodus 23:16 tells us that the feast of Ingathering, Sukkot, is to be celebrated at the exit of the year. This makes sense if you take into consideration that Exodus 23 in describing an agricultural, not a religious calendar. What does all this have to do with sanctification? Think along these lines: If our lives are patterned after what is going on with the physical seasons, as we have seen so far, then just as the new agricultural year begins in Autumn, so would a new year of sanctification begin. Hence, as the sound of the shofar sounds on the Feast of Trumpets, it should wake us up to call our attention to yet another area of our flesh that the Holy One intends to work on during the fast-approaching winter. This leads us to Yom Kippur. On this day, we thank YHVH that we know no matter what He shows us concerning our flesh during this season, it has been forgiven through the blood of Y’shua. We need to rest in His finished work for us as our sacrificial atonement. Abba YHVH uses the number seven to denote spiritual perfection, set-apartness, fullness, completeness and goodness. This number is often used in Scripture. The menorah having seven branches is one of YHVH’s most prominent symbols. The menorah as a whole represents Y’shua, the Light of the world. The feasts of Abba YHVH are patterned on the menorah, with Shavuot forming the Shamach or servant in the middle. I would like to show you how the Spirit of YHVH is also patterned on the menorah and how the Ruach, just like the feasts, help us in this sanctification process. The feasts are physical aids in this process whereas the Ruach (Spirit) guides us spiritually in this same process. When we are willing to be obedient to Abba YHVH, He leads us through His Spirit, His Ruach ha Qodesh, to follow His Torah or instructions. Through His Torah, we acquire wisdom and truth, forming us in the process in the image of Y’shua. 1 Then a shoot will spring from the stem of Jesse, And a branch from his roots will bear fruit. 2 The Spirit of YHVH will rest on Him, The spirit of wisdom and understanding, The spirit of counsel and strength, The spirit of knowledge and the fear of YHVH. Isaiah is prophesying about Y’shua. Consider this picture. In Hebraic thought the right side was considered physical, the left spiritual. The shoot that springs from the stem of Jesse, is Y’shua, the shamash or servant in the middle. Then a branch from His roots will bear fruit: the fruit of knowledge, fear, strength, counsel, wisdom and understanding. When we start on this journey of obedience, we study and gain knowledge. Through knowledge (physical) we learn to fear Abba YHVH (spiritual). When we fear Him, He gives us the strength (physical) to follow His counsel (spiritual). Following His counsel is trusting Him and having faith in Him to hear His voice and be obedient to It. Hearing His voice and observing His Torah is wisdom (physical) and wisdom leads to understanding (spiritual). This is the process of being guided by His Spirit, bringing us closer to being more in the likeness of Him, Y’shua, Who is righteousness. It is thus a process of sanctification unto righteousness guided by His Ruach. We have seen, in this study, how Abba YHVH uses His appointed times and His Ruach ha Qodesh to guide us and transform us into the people He wants us to be. We must each ask ourselves the question: Are we willing to be transformed? 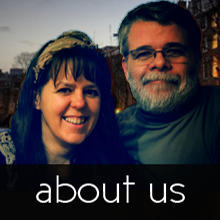 We have written several other articles concerning YHVH’s feasts for you to study. May you be blessed in your process of sanctification. "You shall have a holy convocation"
What does YHVH require of us? Sukkot - the Festival of Joy! The Fourth Commandment - Part 2 - Why keep it? Is the search for abib barley scriptural? What difference does it make if I worship on Sunday? Rosh Chodesh - How do we celebrate this day? Sukkot...YHVH restores us back to Him! When we lived in the Southern hemisphere we still kept the feasts exactly as they are mentioned in the Scriptures. The seasonal references are for me always relative to the land of Israel, not the place where we are currently scattered. Someday we will all return to His land!